Meryl Streep attends the TimesTalks Presents Meryl Streep Discussing Her New Film "Florence Foster Jenkins" at The Times Center on August 11, 2016 in New York City. 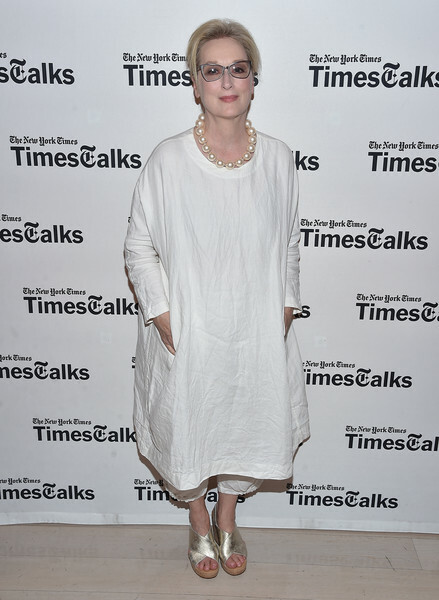 Meryl Streep kept it super relaxed in a loose white dress and matching capris while attending TimesTalks. Meryl Streep injected a bit of shine with a pair of gold cross-strap wedges.